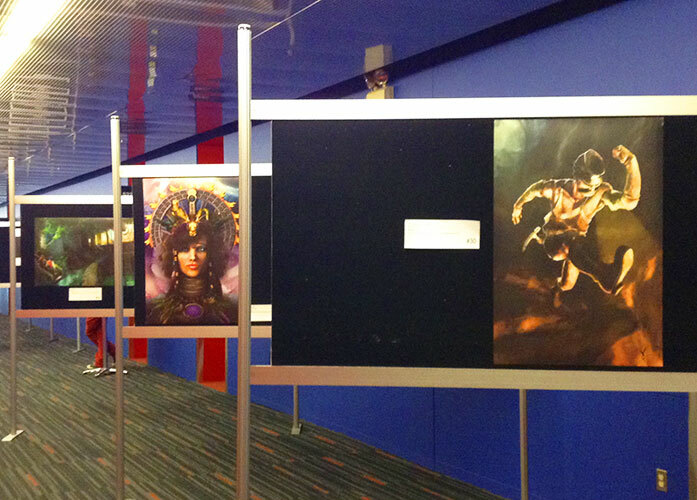 I’ve just returned from the Montreal International Game Summit, at the Palais des congrès de Montréal. It’s an enormous building, with a streetfacing wall of rainbow-tinted glass that casts striking patterns of light on the floors when the sun is shining. Also, a small forest of hot pink tree trunks decorates the ground level. For a convention center, there’s no shortage of color and whimsy at the Palais des congrès de Montréal. It was a pleasure to be able to speak at this summit for the first time. I’ve composed music for a number of games that were either developed or published by Canadian companies. These include Assassin’s Creed Liberation, Fighter Within, and Spore Hero. This made it especially exciting for me to address such a creative and inspirational gathering as the game development community in Montreal! 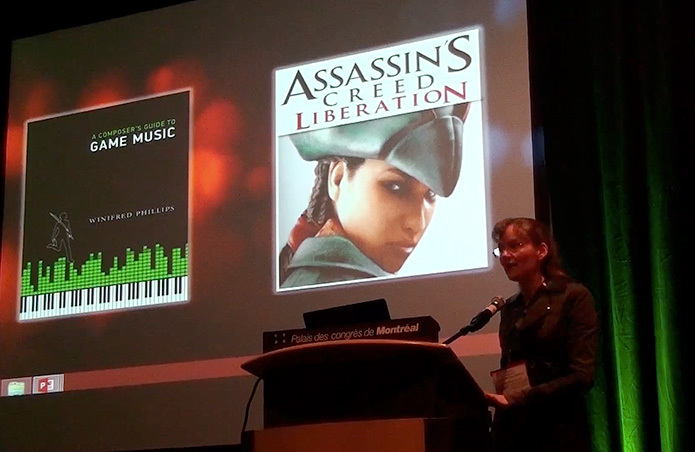 My talk about the music of Assassin’s Creed Liberation went very well, and I thoroughly enjoyed meeting people after the session and further discussing some of the ideas I’d shared in my session talk. 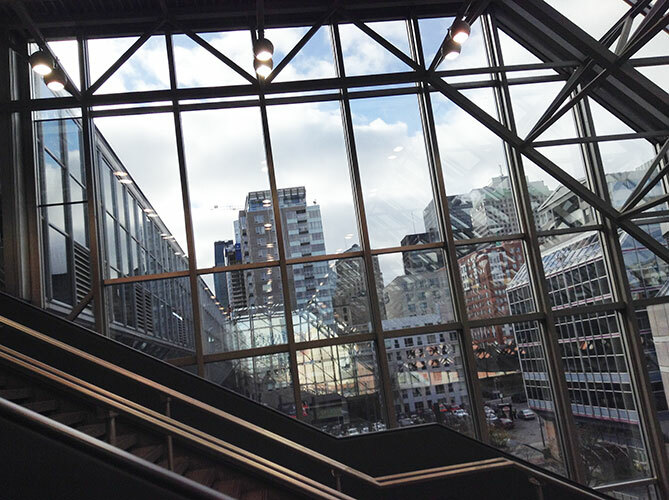 The view from the convention center was very impressive. This is a photo I took quickly as I ascended the escalators. The MIGS art gallery was beautiful and inspired. I enjoyed the MIGS VIP cocktail reception. 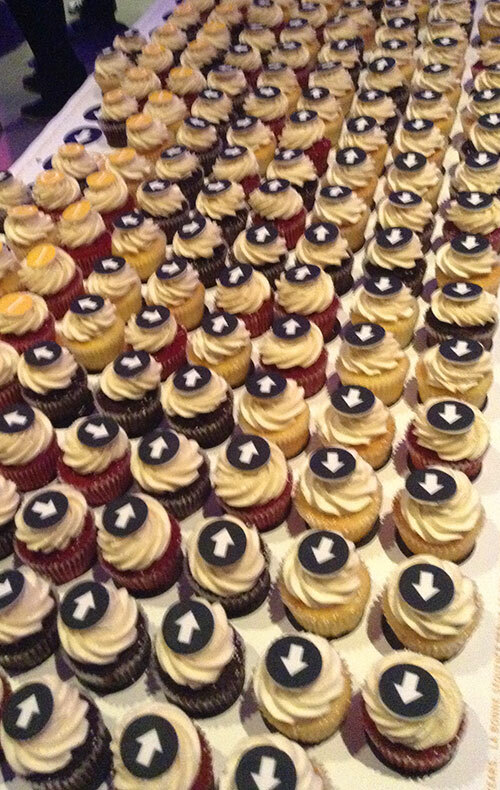 Below is a photo of the sea of cupcakes that greeted attendees at the reception. The cupcakes offer helpful hints regarding the direction in which game development will go in the coming years. 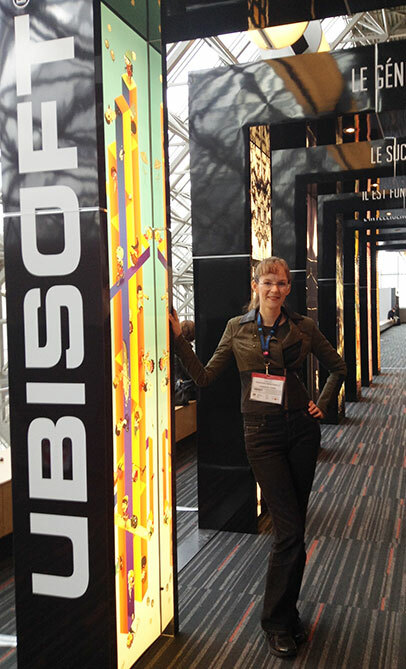 I had a fantastic time speaking at MIGS. Thanks to everyone I met this week in Montreal – it was a pleasure! This entry was posted in Conferences, Development Community, Game Audio, Game Developers, Game Music, YouTube. Bookmark the permalink. I thought this couldn’t get any better. Then I saw the cupcakes.